„From social media to mobile devices, technologies have given consumers unprecedented power to compare prices, complain loudly, and find the best deals“, writes David Edelman from McKinsey. After years of choosing a provider first and then selecting a product when they intend to make a purchase, many customers have now turned that approach on its head: They choose the product first and then the provider – by using comparison portals or evaluation platforms, for example. The wealth of options has changed the purchasing process for many customers. They first search for the product and then they choose the right provider. So, it is logical that it has become significantly more difficult to build up a large customer base. However, this should not deter those retailers who aim to survive in today’s cut-throat market. The age of unchecked growth is over: according to the EHI study of the eCommerce market that appeared in 2017, the top 100 online shops in Germany already generate 70 percent of the total revenue of the 1000 largest online shops. To ensure long-term success in eCommerce, it is vital to have as many loyal customers as possible. Regular customers generate much more revenue per head than new customers and do not cost as much – the key phrase here being traffic generation. So, instead of investing the majority of their budget in the acquisition of new customers, retailers should shift their focus to the much more lucrative business with regular customers. To tailor the shopping experience to each customer – and to provide real added value – you need to know your customer’s preferences. Good tracking data will help you to find out what these are. You also need the right technology to allow you to make better use of the data and improve the customer experience. The Adobe study mentioned above emphasises how technology that uses artificial intelligence provides the ideal prerequisites for meeting the expectations of today’s customers, in regard to the shopping experience. Ideally, returning customers should not need to spend time searching or browsing to find the right products – as enabled by predictive favourites – an AI solution from FACT-Finder, for example. Artificial intelligence allows you to know exactly what customers want - before they even search for it. Creativity is often key to helping you rise above the competition in terms of the customer experience. 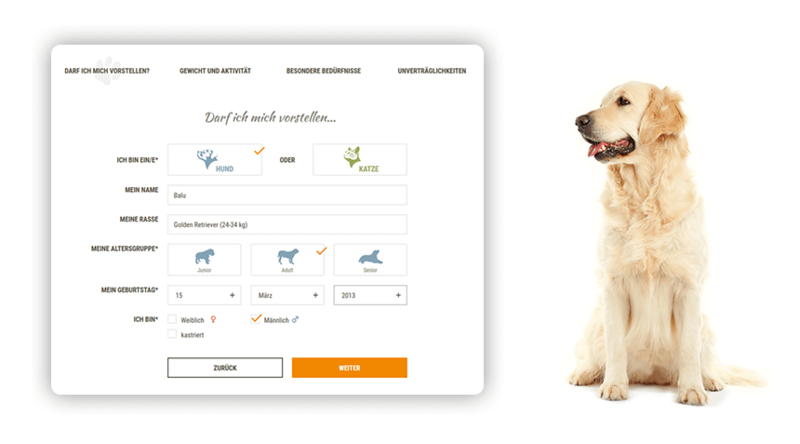 The pet food shop VET-Concept is an example of an outstanding user experience at work. The retailer provides a guided selling function to help shop visitors find the right pet food: Users are supported by visually appealing food assistants for dog and cat owners. For example, these ask about weight, food intolerances and the date of birth – and the final result is food that exactly suits the requirements of the animal. The shop also makes further use of the data entered: It remembers the date of birth and sends products to the pet every year, free of charge – together with a letter like this: “Hello Rover! It’s time to remind your master that you’d like some more treats. Here’s a 10€ voucher!” This is a cute marketing ploy and something a bit different that will probably make the pet owner make another purchase there. The VET-Concept pet food shop gets to know the pet – and uses this knowledge to personalise the product results and leverage smart marketing into customer loyalty. No two customers are alike but there are similarities in the way that customers make their purchases. An online shop should support all types of shopping behaviour if the conversion rate is to remain high. Therefore, you need to use your tracking data to discover recurring patterns in your customers’ behaviour. Online retailers must learn to read their customers’ digital body language in the same way as high-street retailers use actual body language to learn about their customers. This can include spotting whether customers prefer to use navigation or the search function, whether they access the shop from landing pages or the start page, which filters are used, whether the products in the shopping cart are then purchased or end up on the wish list – and much more. The classic window shopper: They click through all the categories and look at a lot of products, before placing them in the shopping cart. However, the window shopper cannot afford all of these products, so most of them end up on the wish list without a purchase being made. You can use the wish list for accurate retargeting – perhaps with discounts to increase the incentive to buy. This type of shopper is often indecisive and wants to be sure of getting the best product for the best price. The fear of finding out that a cheaper or better-quality product could be available elsewhere stops this shopper from making a purchase. All possible options are compared. They search for voucher codes and read customer reviews but then leave the shop without making a purchase. For this type of shopper, we recommend that you reduce the options available for individual products to help the shopper stick with the decision. For example, you can add confirmation texts such as “Just one step away from the best product” or “Well done” at checkout. The impulse buyer always wants to be up-to-date with the latest trends and tends to make bulk buys. Excessive amounts of product information get in the way – this shopper concentrates on informative images of the products. This type of shopper opens many products on different tabs and is happy to complete the purchase. You can reach this type of shopper with emotional elements and thrilling product impressions, such as images or videos and plenty of variations on the products. These shoppers know exactly what product they want to buy. They go directly to the category they are looking for and set specific filters. If they can’t find a product with these criteria, they’ll leave the shop right away. If the search is successful, two different types of shoppers can develop. The satisficer is content with the first product displayed and buys it. However, the rational visitor concentrates on comparing the various products and uses customer reviews to come to a decision. The purchase is only concluded when the shopper is totally convinced by the product. To motivate this type of shopper to make a purchase, a shop must provide a good search function, fast checkout and internal comparison options. A sensible selection of filters and organisation of products by feel, use or occasion also make the purchasing process easier. Differentiation is gaining in importance nowadays and does not just affect the price war. To create the highest possible level of customer loyalty, you must ensure that your own shop meets all customer requirements, a process that can take place on two levels: A granular level, using personalisation technology to provide each customer with individual search results or purchasing suggestions, for example. A broader level, identifying the types of shoppers with analytics data – and supporting their typical purchasing behaviour in your shop. 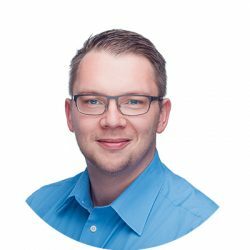 Born in 1988, Artur Wagner has been Customer Excellence Manager at FACT-Finder since 2017. He was previously Head of eCommerce at a company with multiple online shops. Thanks to 10 years’ experience in the business, Artur Wagner knows just what is required of search, navigation and product data in normal shop operations. He is now putting this knowledge into practice by optimising FACT-Finder installations. As consultant and coach, he advises and trains companies all over Europe, including Distrelec, Ulla Popken and Deichmann.